Am catching up a bit on late posting as have been rather busy of late, so a few coming in late. Here is a piece for the 东方早报 (Oriental Morning Post) about Syria. Takes a somewhat negative view which may be finally slipping into the past (and I had previously elaborated in a letter to the Financial Times and for CNN), but at the same time, it is hard to see rapid action taking place any time soon. As usual, I have posted the Chinese above, and the English I initially submitted below. As we enter the 20th month of fighting in Syria, it is clear the situation is only deteriorating. Violence is increasingly spilling across borders, radical groups in the country are becoming better armed and more extreme, while atrocities by both sides continue unabated. And while this internal chaos continues to worsen, the international community stands by, with everyone supporting their respective proxies under the table. The result is a stalemate that is going to incubate problems that will haunt the world for years to come. First, let us look at how the situation is deteriorating. From a low level civil conflict in which an overbearing government was trying to hold onto power using relatively limited force, we have now degenerated into a conflict in which increasingly brutal acts are being carried out by both sides. The government has taken to using cluster bomb munitions in cities as part of a heavy airborne bombing campaign that punishes rebel held areas, regardless of the possible civilian presence. From the rebel’s perspective, extremist factions within the confusing coalition that makes up the opposition have taken to releasing videos in which they coldly execute captured government prisoners, others in which they show prisoners who have been tortured and suicide bombers are no longer a rarity. And as the fighting drags on, both sides become better at carrying out such acts and surviving in such a brutal environment, further prolonging and rendering more gruesome the conflict. But more menacing to the world than this internal escalation is the increasing evidence of regional overspill taking place. There are stories of the Syrian government supporting PKK rebels in Turkey in revenge for Turkey’s support of rebels inside Syria. It has been reported, with apparent documentary support, that Syrian forces may have executed a captured Turkish pilot whose plane was brought down by their air defense system. More clear than either of these stories was the shooting earlier this month of a missile from Syria into Turkey, killing five Turks. Turkey, a key staging post for rebels going into Syria, has struck back in different ways. Aside from continuing to allow its territory to be a conduit for rebels and the weapons, they have also acted to intercept supplies being shipped in to support the government, something that has angered both the Syrian government and their Russian suppliers. Within Syria itself, these proxy dynamics continue, with Iranian forces and their Lebanese and Iraqi proxies mobilizing in support of the Assad regime. Facing off against them are rebel groups supported by Gulf Arab money, with recent reports highlighting that a high proportion of the weapons being provided to the rebels were ending up in the hands of jihadist factions whose vision is less focused on simply freeing the country from Assad than the creation of a shariah governed caliphate. Exactly the sort of ideology that drives groups like al Qaeda, as the old dynamic of Gulf money supporting Sunni extremists plays against the Shiite supported Iranian-Syrian coalition. And so we have all the ingredients necessary for a toxic swamp. A sectarian conflict (let us not forget that at heart Syria is a struggle between an Alawite minority and the Sunni Arab majority they have brutally ruled over for decades), with the religious overtones of the never-ending Sunni-Shia struggle, that has increasingly become a staging ground for other powers to play out their proxy games. This is a sad mess we have seen before: back in the 1990s, as Yugoslavia fell apart, a very similar dynamic played itself out with many of the same actors. The result was the creation of a jihadist battlefield in the middle of Europe that produced a number of terrorist cells and the creation of a pariah state – Serbia – that sits alone in the middle of the continent to this day. Eventually the outside world did step into that conflict, but by that time it was far too late and the scars will still take years to heal. But rapid intervention can also have negative repercussions. At Britain and France’s instigation, NATO deployed relatively rapidly in Libya to support the rebellion against Colonel Gadhaffi. And while the end result was his deposition and the creation of a free government, it is clear that extremist factions have established themselves in the country and the transition will not be as clean as many hoped. There is some light at the end of this tunnel, however, as a public outcry against the groups has already started to build, suggesting that the picture remains a complex one with many in the country rejecting the extremist’s message. While it is too early to say, it is possible that the more rapid resolution of events in Libya left the nation less brutalized and prone to extremism. The problem with Syria is that the longer the stalemate drags on, the more powerful these extremist groups become and the deeper becomes the hatred between the various factions. As more and more atrocities are committed and people killed, the harder it becomes to reconcile later when the country is being brought back together. This leads to a balkanization within the country with different areas ruled by different groups, a state of affairs that incubates problems for decades to come. It is not clear how far along in the Syrian conflict we are at this point or how much longer it has to run. Any day a sudden shift could take place if Bashar al Assad was killed or the government chose to deploy chemical weapons. But at the moment it grinds brutally on with others advancing their interests by proxy and further worsening a situation while the people of Syria feel abandoned by the international community. This is a story we have seen played out many times before, and the end result is always further problems for everyone else down the road. Simply waiting for it to burn out can take years and will only make the recovery period longer. We have already let things run too long to avoid any subsequent negative repercussions, let us not continue to make this mistake for too much longer. A new post for CNN, this one expanding on some brief comments in my earlier letter to the Financial Times. I see it has inspired a certain amount of vitriol on their comments. The overall point here is to highlight the fact that a bad situation is being allowed to simply get worse to no-one’s benefit and the long-term implications are going to be negative. Per CNN’s agreement, I have only posted the first 150 odd words here, please follow the hyperlinks to read the whole piece. UPDATE (Oct 20, 2012): I realize I owe Shashank a note of thanks for reading an earlier draft of this. 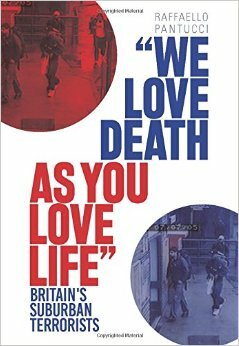 Editor’s note: Raffaello Pantucci is an associate fellow at the International Center for the Study of Radicalisation at King’s College and the author of the forthcoming “We Love Death As You Love Life: Britain’s Suburban Mujahedeen” (Hurst). A growing number of young Europeans drawn to protect their abandoned Muslim brethren have taken up arms in Syria. It’s a dynamic that Europe has witnessed before. In the 1990s, young Europeans were enticed by the idea of fighting jihad in Bosnia. Spurred on by radical preachers, young men and women were drawn to fight to protect their Muslim brethren merely a bus ride away. Before the September 11 attack in 2001, the notion of fighting in a holy war was something far from most people’s minds and reserved for history books about the Crusades. Occasional appearances by fearsome looking radical preachers at rallies where people would shout about holy war were shown every so often on television, but that was the extent of public knowledge of the issue. But there was more going on, mostly unseen to the average citizen in Europe. In the mid-1990s as Yugoslavia started to fall apart, stories emerged of middle-class Europeans being killed fighting and of Western forces finding groups of fighters with British accents among the Bosnian ranks. A brief letter in the Financial Times, in reaction to this op-ed in the paper. I have a longer piece focused on what I am talking about landing soon, I think the issue of fighters going to Syria is something which is only going to increase over time. Sir, Rhonda Roumani’s emotional appeal to regional states to muster western support to end the lethal stalemate in Syria pulls at heartstrings that have been tugged into numbness (“A conflict that is staining the conscience of the world”, October 15). As we enter the 20th month of fighting with little sign of much active western intervention, it is abundantly clear that such emotive appeals are not the solution. A more pragmatic line must be taken. The key is to remind people of what happened in Bosnia in the 1990s, where a civil war developed into a proxy struggle with Iranian, Saudi, Russian and western proxies sniping on the ground while a sectarian conflict gradually adopted greater religious overtones. The net result of Bosnia was to create a cauldron into which religious extremists could pour their ideas and ply their trade – to come back to plague leaders across the world in the form of a network of extremists connected to al-Qaeda and its extremist ideas. All sides came out worse than they went in, with even Iran and Saudi Arabia ultimately suffering from the resurgent extremist feeling that they helped stoke. 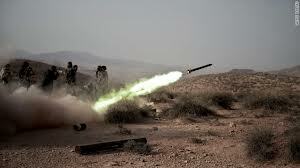 The point is that as Syria continues to drag on, we are increasingly seeing a similar dynamic play out on the ground. No resolution one way or the other only proves to extremists that the narrative they believe is true, and stokes fires that will invariably come back to haunt us. This quite blunt practical reality is the key to persuading people that more must be done. The moral card has been played already and has quite clearly been ignored. Appeal to people’s sense of personal security and you might be able to get through. More on an old theme that continues to be unresolved, Lone Wolf terrorism, this time for Jane’s. I have a few more academic pieces on the pipeline on this topic and am possibly exploring some larger projects on the theme. Apologies as this one is behind a paywall. Am asking whether I can repost it here, but in the meantime let me know if you really want to read it. UPDATE (10/26/2012): Thanks to Jane’s IHS for agreeing to let me re-post the text here! The sentencing of Mohammed and Shasta Khan – a recently married couple convicted in July of plotting an attack on the local Jewish community in Oldham in the north of the UK – marked the end of a case which offered a new perspective on the problem of so-called lone wolf terrorism. The trial uncovered little evidence that the pair had been directed to carry out their attack by anyone, and what direction they had appeared to have come from Inspire – an English-language jihadist magazine produced by Al-Qaeda in the Arabian Peninsula (AQAP) with precisely the aim of encouraging and facilitating the kind of ‘individual jihad’ against the West being planned by the Khans. The case was merely the latest of a number in Europe and the United States in recent years in which prosecutors have cited the role played by Inspire in facilitating plots by home-grown, grassroots jihadists, and individual jihad waged by lone wolves or hybrid ‘lone wolf packs’ such as the Khans currently represents a significant potential threat. The case against the Khans came together in a somewhat haphazard fashion. Police were initially called to their residence in the Waterhead area of Oldham late on 22 July 2011 in response to an alleged assault by Mohammed Khan against his father-in-law. While questioning the family, one of Shasta Khan’s brothers reportedly told police he suspected Mohammed was “a home-grown terrorist”. When questioned, Shasta confirmed the allegation and accused her husband of planning an attack against the local Jewish community. The North West Counter Terrorism Unit launched an investigation into the allegations, but as they dug into the couple’s lives they uncovered a far more complicated picture. The pair apparently met sometime in mid-2010 through the Muslim dating website singlemuslim.com. After corresponding a few times online they met at a Bradford food court on 19 July 2010, and a month later they were married. Although they met through a website that seeks to connect people for whom Islam is important, it is not entirely clear how pious the couple were prior to meeting. A photograph of the pair enjoying a boat trip during their honeymoon in Turkey shows Mohammed clean-shaven and Shasta wearing a short-sleeved top with her hair down, and it was revealed in court that Mohammed had previously been incarcerated for violent crime. On the other hand, in her account to police Shasta claimed to have started to read the Quran, pray five times a day, and wear a hijab six months before meeting Mohammed. Irrespective, once married the process of radicalisation seems to have been relatively rapid. Mohammed told Shasta to reject western dress and the pair started to download and watch radical material together. Among their possessions were recordings of Al-Qaeda leaders Osama bin Laden and Ayman al-Zawahiri, AQAP ideologue Anwar al-Awlaqi, and radical Australian-Lebanese preacher Feiz Mohammed. The largest number of recordings in the couple’s collection was by Abdullah el-Faisal, the Jamaican preacher who has admitted that Germaine Lindsay, one of the 7 July 2005 London bomb plotters, was a student of his. Faisal was previously jailed in the UK and currently lives in Jamaica from where he broadcasts regularly. The couple also possessed at least two issues of Inspire magazine, as well as a profile of Mustafa Setmariam Nasar alias Abu Musab al-Suri, a Syrian jihadist ideologue noted for advocating “the jihad of individual terrorism” in which self-forming cells would carry out independent attacks without the need for any central command and control structure. Central to the prosecution’s case was the presence of Inspire magazine – particularly issues one and six which featured suggestions on how to construct explosive devices using easily sourced materials. Many of these materials, including Christmas lights that could be fashioned into a detonator, were found among the Khans’ possessions. There was further evidence on a laptop that someone had watched YouTube video clips that showed how to make potassium chlorate using bleach and salt substitute products with a high potassium chloride content. When police searched the couple’s premises they found a bowl and a metal pot in the garden with high levels of liquid chloride, sodium, potassium, and chlorate. When mixed with sugars, chlorates can be very explosive. According to forensic investigation, the chlorate in the vessels had been made three weeks prior to discovery. The pair had further access to explosive ingredients through Shasta Khan’s work as a hairdresser. Inspire issue six includes detailed information about how to manufacture explosives from acetone peroxide, and in her initial confession to police Shasta claimed her husband had repeatedly asked her to source peroxide through her work. At the time of arrest, the pair were found to have at least five bottles of peroxide in their possession, as well as various items of safety wear that would be useful in concentrating the peroxide and mixing chemicals. As a target, the pair appear to have chosen the Jewish community in the nearby town of Prestwich. In her initial confession – which she later retracted – Shasta Khan claimed her husband had a “massive problem” with Jews and would regularly make anti-Semitic comments. She claimed he had made her drive to the Jewish part of Prestwich to sit and watch Jews going in and out of the synagogue. This was confirmed by evidence discovered on a GPS device found in their possession, which showed that the pair had made a number of trips around Prestwich’s Jewish community and had specifically marked out the current and previous locations of the Jewish Agency, and the central location of the Jewish community. The Khans are merely the latest in a growing list of UK nationals who have chosen to plot home-grown terrorist attacks with no outside direction. In May 2008, Nicky Reilly, an Asperger’s sufferer who had become radicalised after converting to Islam, attempted to blow himself up in a restaurant in Exeter with a device he had fashioned using recipes from the internet, but which failed to detonate properly. While police found Reilly had loose links to radical elements in his local community, it was ultimately concluded that he acted alone, albeit with some guidance from unknown individuals he appeared to have met online through YouTube discussion chains. A month prior to Reilly’s attempt, police in Bristol were alerted by the local community to another young Muslim convert, Andrew Ibrahim, who had appeared at his local mosque talking about jihad and with very nasty burns on his hands. When police searched his home they found peroxide-based explosive Hexamethylene triperoxide diamine (HMTD) which he had made using online recipes, along with videos of him testing it, a suicide vest he had fashioned himself, and evidence on his mobile phone of him conducting reconnaissance at a local shopping mall. Although Reilly and Ibrahim failed in their attempts, in May 2010 Roshonara Choudhry succeeded in carrying out an act of individual jihad when she stabbed MP Stephen Timms during his regular constituency meeting, narrowly failing to kill him. Choudhry subsequently explained she had targeted Timms for his support of the Iraq war, and claimed her inspiration came from having watched many hours of YouTube videos of Awlaqi and Abdullah Azzam. Again, there was no evidence Choudhry had been directed by anyone in conducting her attack, and Choudhry told police she had kept her plans secret “because nobody would understand, and… because I knew that if anybody else knew they would get in trouble because then they would be implicated in whatever I do”. Choudhry’s act was widely celebrated within the online radical community, and a week after her conviction, Bilal Zaheer Ahmad, 23, was arrested in Wolverhampton for posting lists of MPs to be targeted on a website – revolutionmuslim.com – that Choudhry had frequented. Praising her actions, Ahmad not only offered a list of potential targets, but also provided a link to a supermarket website which sold the kind of knife Choudhry had used in her attack. Ahmad was later jailed for 12 years for soliciting murder, intent to stir up religious hatred, and collecting information likely to be of use to a terrorist. This concept of open source jihad is something that Inspire has repeatedly advanced since its first issue. Drawing heavily on the work of Abu Musab al-Suri, it has argued that organised groups are not necessary and that individuals should simply take up the mantle of jihad and carry out attacks wherever they can. Such grassroots jihadists would operate according to the principle of commander’s intent, acting in accordance with strategic principles publicised by Al-Qaeda but without any actual contact with the group, which might expose them to security services. However, while Inspire has become something of a feature among the possessions of recently arrested aspirant jihadists in Europe and the US in recent years, there is little evidence that the magazine’s call for individual jihad was what inspired them to act. Instead, other factors appear to have served as the motivation, with Inspire serving rather as a trusted and accessible bomb-making manual. For example, in December 2010 police arrested a group of UK citizens – who later pleaded guilty to planning to bomb the London Stock Exchange – after hearing them discussing an infamous Inspire article entitled Make a bomb in the kitchen of your Mom. They had only recently downloaded the magazine and appeared to be figuring out how to source the materials it listed. The same article was found in the possession of Naser Jason Abdo, a US soldier who went AWOL during the 4 July weekend in 2011, and who was arrested later that month after police found weapons and explosive materials in his hotel room. Abdo later confessed to planning to bomb a Chinese restaurant near the Fort Hood military base, Texas, and shooting survivors as they ran from the blast. In his court testimony, Abdo claimed he had been inspired by an earlier act of individual jihad allegedly carried out by Nidal Hassan Malik, a US Army major who is suspected of killing 13 people in a small-arms attack at Fort Hood in 2009, an act Abdo said he had hoped to “outdo”. Malik himself has become something of a celebrity in the roster of lone wolf jihadists as one of the most successful examples of the trend. However, despite the surface appearance of the case – in which Malik, driven to distraction by his pending posting to Afghanistan, decided to carry out an act of terrorism instead – the reality was more complex, and it was subsequently revealed that he had previously come to the attention of US intelligence after entering into email correspondence with Awlaqi. As in the Malik case, there are a number of apparent lone wolf attacks where subsequent investigations reveal a level of networking inconsistent with the principles of open source jihad espoused by AQAP in Inspire. Indeed, the very Inspire article that celebrated Choudhry’s “borderless loyalty” to Al-Qaeda’s cause also highlighted the case of Taimour Abdulwahab al-Abdaly, a young Iraqi who blew himself up in Stockholm in December 2010 in an unsuccessful attempt to attack a local shopping mall. Although the article represented him as a lone wolf like Choudhry, Iraqi officials have claimed that he was connected with insurgent groups in the country – although it is unclear with which particular group – and prior to the attack he allegedly telephoned several numbers in the country. In addition, a friend Abdaly had made while living in the UK – Naserine Menni – was convicted at Glasgow High Court in August 2012 of helping fund the attack as well as supporting Abdaly in building his device and sharing radical material with him. Indeed, a distinctive feature of many lone wolf cases is that they do not in fact act entirely in isolation. This was also evident in the case of Mohammed Merah, who carried out a series of shootings in Toulouse, France, in March. Although repeatedly identified in the press as a lone wolf, Merah had familial connections to militant networks supporting the insurgency in Iraq as well as links to radicals in Algeria. According to US investigators, he also attended training camps in Pakistan. Indeed, in the aftermath of his attacks the North Waziristan-based Kazakh militant Islamist group Jund alKhilafah (JaK) claimed that Merah was affiliated with the group. US investigators later concluded that it was likely Merah had spent some time with the group in North Waziristan – although perhaps as little as an hour. While he may have chosen his targets and carried out his attacks alone, Merah was clearly on the periphery of a known network of extremists. Even where no connection to militant networks exists, some connection can often be drawn to local radical communities or groups. The individuals who carry out lone wolf attacks tend not to be core members of these communities, but instead exist on their peripheries. For example, among the belongings of Mohammed and Shasta Khan was a black hooded top printed with the words “Al-Ghuraba” – the name of a proscribed UK Islamist extremist group which is descended from another proscribed group, Al-Muhajiroun – and their computer was found to have repeatedly been used to visit sites by UK radical preacher and Al-Muhajiroun alumni Anjem Choudhary. Similarly, Nicky Reilly was in contact with elements in the Plymouth radical scene, and Andrew Ibrahim repeatedly tried to make contact with radicals in the UK, who rebuffed him. This trend is also evident beyond the community of jihadist lone wolves, with similar patterns of behaviour evident among right-wing extremists. Notably, Anders Behring Breivik, convicted in August 2012 of the July 2011 Utøya mass shooting and Oslo bombing, had previously been on the periphery of radical far-right and anti-Islamist communities, and also attended rallies in the UK. His unsupported claim that he was operating as part of a clandestine organisation, and his decision to email his 1,500 page manifesto to some 5,000 individuals he had identified as potential sympathisers, also suggests that despite acting alone Breivik sought to reach out to this particular community. The apparent desire of many lone wolves to seek out the company of like-minded individuals offers security officials an avenue into countering the phenomenon. While the lone wolf is unlikely to be known to the security services, those they come into contact with may well be, and in some cases may be being monitored. Although the large number of people existing on the periphery of known radical circles would mean identifying the potential lone wolves among them would remain a significant challenge for the security services, in seeking out the company of others the lone wolf increases the risk of being exposed by those around him – as occurred in the cases of Reilly and Ibrahim – emphasising the importance of effective community policing. However, not all lone wolves can be relied on to seek out company in this way. For example, in the cases of Choudhry and Abdo there is no evidence of contact with extremist communities – although further investigation may eventually uncover some connections. Nevertheless, even such true lone wolves remain vulnerable to exposure from within the community, with their very isolation presenting them with additional challenges and risks in preparing their operation. For example, the police search that uncovered Abdo’s plot was triggered by a tip-off from a local gun shop concerned by a recent purchase Abdo had made. This was also evident in the case of Khalid M. Aldawsari, a Saudi student in the US who was arrested in Texas in February 2011 as he tried to build a bomb using chemicals purchased on the internet. Prior to his arrest Aldawsari had demonstrated no outward signs of radicalisation and he seems to have been operating alone and with no outside direction or contacts. In a diary recovered after his arrest, Aldawsari had written: “After mastering the English language, learning how to build explosives and continuous planning to target the infidel Americans, it is time for jihad.” However, Aldawsari’s reliance on personally acquiring the materials he needed from regular commercial channels meant he raised the suspicions of his suppliers, and both a shipping company and a chemicals firm notified the FBI of their concerns, precipitating the investigation that uncovered his plot. In an interesting parallel, Anders Behring Breivik had also triggered a similar warning to the Norwegian authorities following his attempt to purchase chemicals online from a Polish company. Although the alert was disregarded at the time, it again shows that the need for lone wolves to interact with others during the planning and preparation phase of their operation provides an opportunity for their plot to be uncovered, and provides another example of the value of effective education of chemical suppliers and other purveyors of products and logistics which may be of use in terrorist operations. However, some cases seem almost impossible to detect, and illustrate the challenges lone wolves can potentially pose even the most vigilant of security services. Choudhry’s attempted murder of MP Stephen Timms is instructive in this regard. Seemingly in complete isolation, she radicalised, obtained her weapon, and selected her target. That the weapon she chose was a knife available at any number of shops meant security services would have had no way of detecting her through this purchase. According to her own account, the only observably radical thing she did prior to her attack was to watch extremist videos online – an act so common as to have no intelligence significance when taken in isolation. Other potential signifiers that have been cited are that shortly before her attack she dropped out of a university course she had almost successfully completed, and that she had taken steps to pay off all her debts. Again, however, such actions were too commonplace to raise suspicion in themselves. Furthermore, even if analysing all these factors together might conceivably have raised a flag, the level of surveillance of ordinary citizens required to achieve such a feat would almost certainly be rejected by Western electorates. As such, the problem of lone wolf terrorism, much like the broader problem of terrorism, is something that will require management rather than eradication for the immediate future. ©2012 IHS, all rights reserved. Reproduced with permission from IHS Jane’s Terrorism and Security Monitor. 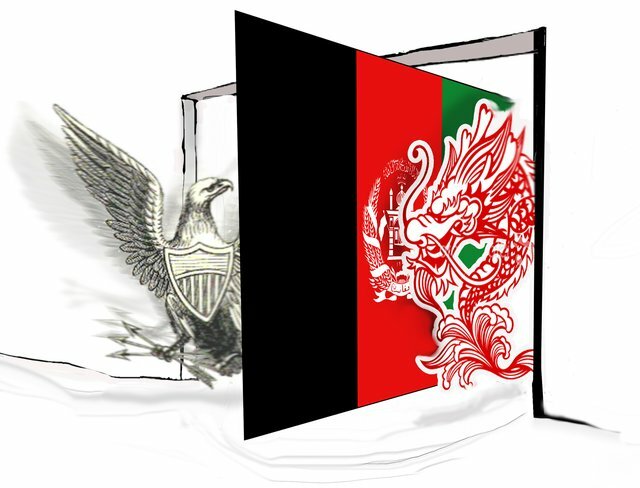 More on the topic of China-Afghanistan with Alex, this time for the Washington Times. I did a few media things around the time of Zhou Yongkang’s visit, including a long interview for the Daily Telegraph and Formiche (in Italian). More on this subject coming soon, including some longer pieces as part of the ongoing China in Central Asia project. On Sept. 23, a top Chinese security official and Politburo member, Zhou Yongkang, made a surprise four-hour visit to Kabul during which time he reportedly met with Afghan President Hamid Karzai. This was the first high-level visit by a Chinese official to Afghanistan in half a century — a clear signal of a policy shift on Beijing’s part and probably the harbinger of further engagement to come. Until now, China’s approach to its Eurasian neighbors, including Afghanistan, has been “soft,” primarily based on investment, infrastructure projects, promoting Chinese language and the multilateral body of the Shanghai Cooperation Organization. Beijing has stayed away from difficult political issues — so much so that U.S. diplomats have actively courted China to become more involved in ensuring Afghanistan’s stability after the 2014 withdrawal of Western combat forces. The accusation against the Chinese government and Chinese state-owned enterprises has been that by investing in Afghan natural resources such as copper and oil, they are reaping the benefits of American efforts without expending any political capital. As the 2014 deadline approaches, however, this is quickly changing. Mr. Zhou’s visit was presaged by two important events. In June, at the Shanghai Cooperation Organization summit in Beijing, Mr. Karzai and Chinese outgoing President Hu Jintao agreed to “upgrade” their countries’ relations to a “strategic partnership.” Much of the summit’s discussions centered around the future of Afghanistan. 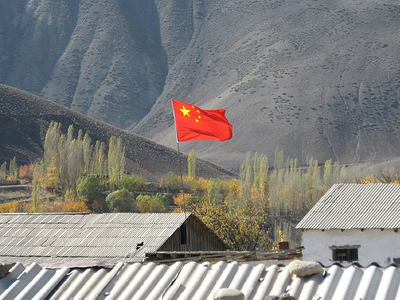 Chinese officials beseeched the organization’s independently minded Central Asian members, including Russia, to coordinate their disparate policies toward the stability and development of their volatile southern neighbor. That China’s focus would begin to incorporate security concerns as well as economic investment was made clear by Guo Boxiong, vice chairman of China’s Central Military Commission, when he met in July with Afghan Defense Minister Abdul Rahim Wardak. Mr. Guo publicly called for enhanced military ties, including regular communication and cooperation between the security forces of both countries. Through the Shanghai Cooperation Organization, China organizes military exercises known as “peace missions,” which it undertakes together with Russia, Kazakhstan, Kyrgyzstan, Tajikistan and Uzbekistan. These are the only security maneuvers that Tashkent endorses in the region, to the detriment of Russia’s Collective Security Treaty Organization. The organization also funds the Regional Anti-Terrorist Structure center in Tashkent. The center coordinates information-sharing on security threats among the member states. On a recent visit there, we were told that the center maintains a database of undesirables to be extradited to various member states. This is one of the ways that China deals with its perceived threat from Uighur separatists, seeking to destabilize its far western province of Xinjiang. It will also be a useful tool for tracking potential spillover threats from Afghanistan should the situation there become more volatile in the coming years. Afghan security structures may well be asked to contribute to the Regional Anti-Terrorist Structure in the future. On the ground in the country, China is already involved in low-profile training of Afghan diplomats and security officials. So far, this has not amounted to much. The number trained have been in the dozens, but Chinese officials have coordinated their efforts with U.S. diplomats. Together with China’s overall policy of development to achieve stability — Chinese state-owned enterprises purportedly plan for not just resource extraction, but road, rail and power plant projects in Afghanistan — this could be a sign of Beijing taking the responsibility U.S. officials have been asking for. More likely, however, it is Beijing’s effort to make sure that future instability in Afghanistan does not affect restive Xinjiang. Although it could provide a strategic thoroughfare for Chinese goods, the 46-mile border between China and Afghanistan remains tightly shut by a major military presence on the Chinese side. When we visited the Chinese side of the border earlier this year, we were told that local shepherds and camel herders have been deputized by the government to report suspicious activity. In a discussion we held at an official Beijing think tank last year, we described Afghanistan as a broken tea pot. The Chinese might claim the United States broke it, but the teapot is nonetheless on China’s table. The response we received from a set of former Chinese diplomats and security personnel was incredulity. After some debate, however, they accepted the analogy. It seems that Beijing has come to realize it may want to put the teapot back together again, but mainly to ensure that the mess does not spread across its table. Raffaello Pantucci is a visiting scholar at the Shanghai Academy of Social Sciences. Alexandros Petersen is author of “The World Island: Eurasian Geopolitics and the Fate of the West” (Praeger, 2011).